Steve Cummings broke clear to seal a fine solo stage seven victory at the Tour de France on Friday, before a large inflatable caused havoc for the peloton. After the excitement of the opening sprint stages, it was time to take on the mountains as the 162.5-kilometre trek from L'Isle-Jourdain to Lac de Payolle - which included the first category one climb of the Tour up the Col d'Aspin - saw the first of three days in the Pyrenees. 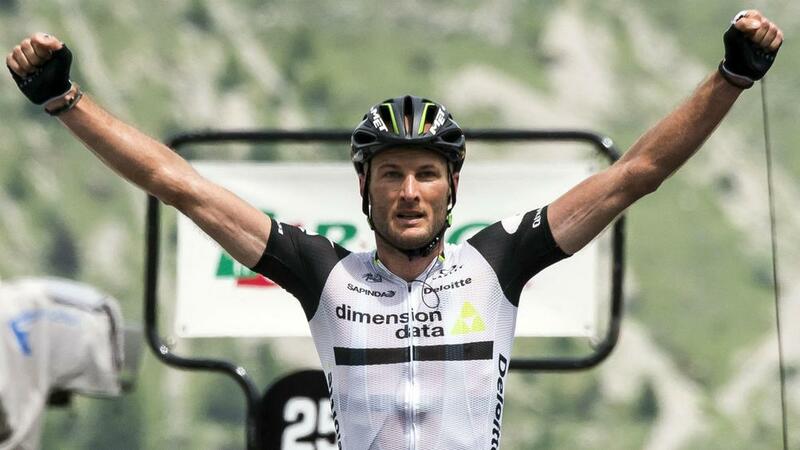 And it was Dimension Data rider Cummings, whose reputation continues to grow following a stage win at the Criterium du Dauphine last month, that made a break for home with under 30km remaining to seal a second career stage win at the Tour. It appeared as though the Briton would be challenged by 2014 Tour winner Vincenzo Nibali (Astana), but the Italian was left wanting in his challenge and Cummings had a clear run to the line.